I’m sure you’ve heard people talk about ketones, blood glucose meters, pee strips, and breathalyzers. But do you really know the difference? I’ll be honest, I didn’t until very recently. If you get on social media, you’ll see an abundance of products and opinions about checking ketones. People will post that their urine sticks were “dark purple today…woo hoo #inketosis” when in actuality, that doesn’t mean squat. But, when I was a keto newbie, I didn’t know any better so I bought some urine sticks too and posted the same thing. Rookie mistake. 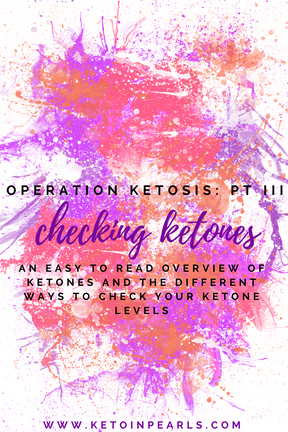 Checking your ketones IS an incredibly useful tool for getting into ketosis at ANY point in your keto journey. Whether you’ve been keto 3 weeks or 3 years, everyone goes in and out of ketosis so having a reliable tool to monitor yourself is a solid plan of attack! 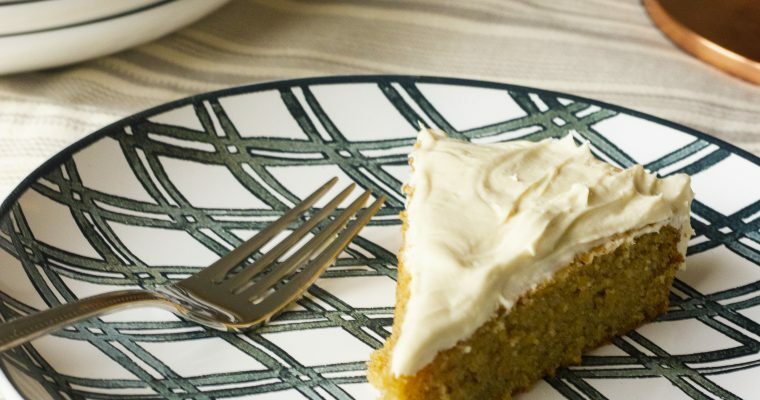 What’s a ketone, anyway? In very basic terms, ketones are what your body (the liver specifically) produces for fuel when it doesn’t have glucose to rely on. There are 3 different kinds of ketones and individually, they are called ketones bodies. Your body naturally makes ketones every day but when you eat keto to stay in nutritional ketosis, your body makes more ketones and uses them most efficiently. At least, that’s the optimal goal. Ketones are measured in millimolars or mmol/L (mM). Ketone bodies are found three ways: in your blood, in your urine, and in your breath. Sometimes you’ll hear people refer to “keto breath” and that is actually the ketone body acetate that you taste. Crazy, right? The least expensive way to check your ketones is by using urine test strips. Coincidentally, these are also the least effective way to measure your depth of ketosis. Similar to a pregnancy test, urine strips are held in the urine stream for a few seconds. The paper changes color indicating the level of acetoacetate present. However, acetoacetate is actually a ketone body the body doesn’t even use! So, using these strips is really ineffective and can’t tell you anything about your depth of ketosis. Another way to check for ketosis is with a breath meter. These check for the presence of acetate in the breath. Remember, keto breath? These meters work just like a breathalyzer you’d see used by police officers or hospitals. They’re semi- afforadable. You can buy one for a few hundred dollars on Amazon. Expensive up front but it’s a one time purchase so personal preference reigns there. The important thing to note is that breath meters can be less effective when you’ve been in ketosis for a long time. The “keto breath” symptom is really most prevalent when you’re just getting into ketosis. It doesn’t last for more than a couple days, usually. So, the reliability of these meters over time is iffy and for their price tag, I want to be 100% certain! I’m sure most of you are familiar with meters that diabetics use to monitor their glucose levels. Blood ketone meters work exactly the same way. A teeny finger prick draws blood which is placed on a strip and measured on a meter. Let’s get the obvious con out of the way: yes, you have to prick your finger. BUT technology has come a long way and it really doesn’t hurt like it used to and the benefits significantly outweigh this one little detail. It goes without saying that blood meters measure ketones in the, you guessed it, blood. 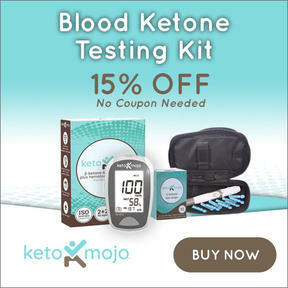 All experts agree that this is the most reliable way to measure ketones through all stages of a ketogenic diet. Your blood will always detect ketones whether you’re in day 2 or day 582. It’s best to test your blood after a fasted state (i.e. when you wake up in the morning) but you CAN check them an hour after eating to see how a food effected your ketosis. Blood glucose meters are fairly inexpensive. The test strips can become costly depending on how much you want to test. But this is why I chose to get a Keto Mojo Blood Ketone Meter to monitor my ketones while I’m breastfeeding and working on ketosis. The meter kits start at $60 which includes your meter, lancet, and starter strips. Test strips can be purchased individually for as little as $0.99 per 50 strips. Compared to other popular name brands, this price is much more affordable! As I am working to get back into ketosis post-partum, I will be on an uphill battle. I mentioned in a previous post that breastfeeding requires more carbs to maintain a healthy milk supply. The caveat to that is that I may have trouble getting or staying in ketosis. It’s best to keep your carbs between 20-30g per day to remind your body to use the FAT for fuel instead of glucose. 50g per day still isn’t much but it teeters a fine line for a keto lifestyle. It falls more in the LCHF category. 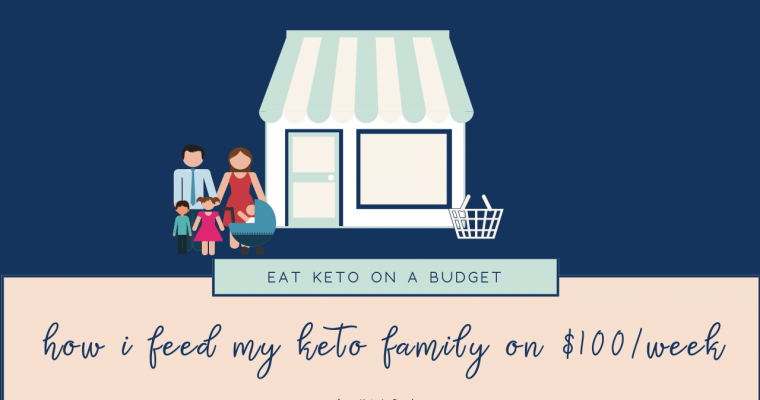 So, once I am two weeks postpartum, I plan to start my strict keto eating plan (more details in the next post). I will test my ketones every morning when I wake up because I will be in a fasted state. Once I am in ketosis, I will probably test once through the day if I feel any changes in my body. Also, as I adjust my macros, I will test as needed. The great thing about having a testing meter is I can test any time, any where. You can follow my daily updates/progress on Instagram! 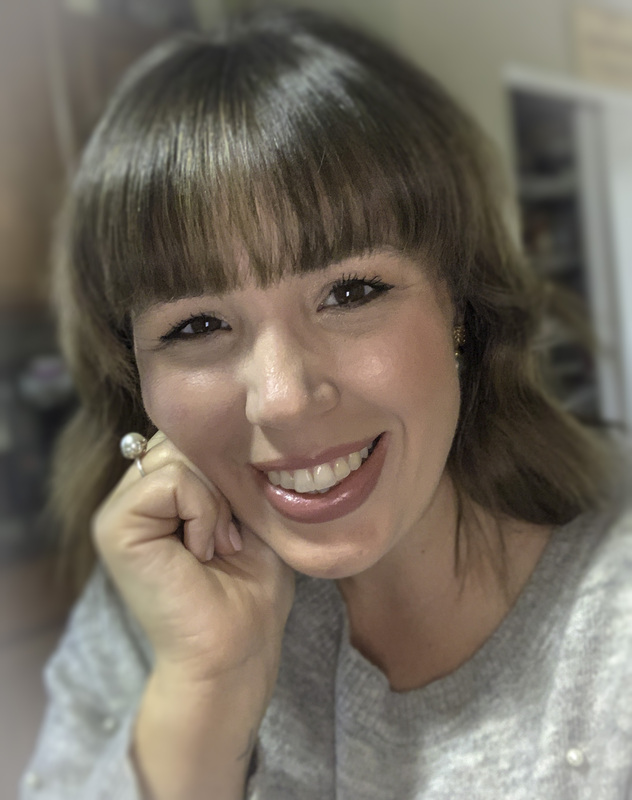 If you have any questions about ketones or Keto Mojo, send me an email and I’ll be happy to help answer them!